Most often it is seen that buying an air conditioner is mostly a reactive measure than a proactive measure. This means that people have a tendency to buy a new air conditioner only when their old air conditioner fails and their homes are not cooling any more. However, that should not be the case rather; homeowners should plan beforehand the purchase of their air conditioners. In fact, cooler months like winter and early spring is the ideal season to buy a new air conditioner for your home. Many people have an idea that the peak season is the best time to opt for a new air conditioner because the companies are busy installing more number of units and so the new ones might be less expensive. However, this is not the truth. Let us try and understand why early spring seems the best time to buy a new air conditioner either for your business or home. First of all early spring seems to be a slow month for HVAC contractors so as a purchaser you will be able to beat the rush. This is because most of the installation work has been completed by the contractors and they are gearing up for the coming season. Thus, you can expect that HVAC professionals have enough time to discuss with their clients all the necessary aspects of installation. Hence, the chances are high that you will have your air conditioner installed properly. Pre-season discount is one added advantage that you can expect during the early spring. As these are slow months air conditioner companies offer considerable discounts on their products. The result is the buyers benefit and the employees of the company can also be kept busy as quite a few installations take place. In fact, if you buy an air conditioner during the early spring months and decide to install it at a later date even then you can expect to make considerable amount of savings. Buying an air conditioner requires quite a bit of investment and it is a purchase that will last you for the coming 10 to 12 years. 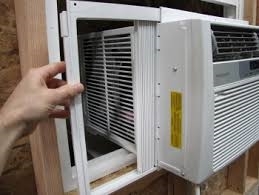 Hence, you cannot take a chance with this purchase and the benefit of buying an air conditioner during early spring is that you have enough time to research and do the market survey and talk to HVAC professionals so that you can end up buying the right kind of air conditioner for your home. Lastly, there are ample options for you to get professional help if you are buying an air conditioner in the early spring. 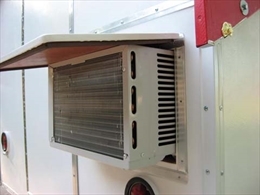 They will be able to tell you the correct size of the air conditioner required for your home. Nevertheless, it is true that buying an air conditioner in early spring is the best time to do so but you need to keep in mind that it is not a good idea to get attracted with too heavy discounts or too low installation costs. There needs to be parity. It is better to get opinions from friends and family before buying a new air conditioning unit.